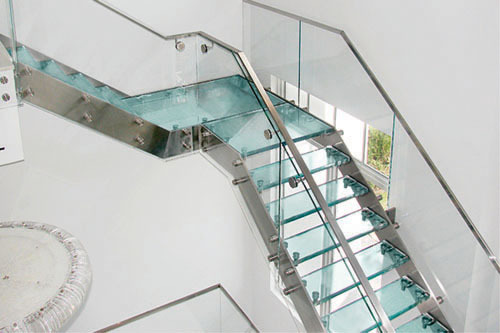 The use of floor glass, stair treads, and glass walkways can help create a sense of openness and daylight in both commercial and domestic applications. It can allow light to pass through different levels and introduces new architectural opportunities allowing designers to play with light and colour. 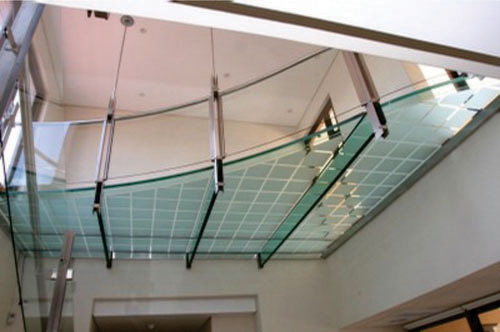 Floor glass can also be supplied with a fire rating up to 60 minutes integrity and insulation. A non-slip coating, which can be incorporated into ceramic frit patterns, can also be applied to the top surface for the glass to ensure the safety of those walking on it. 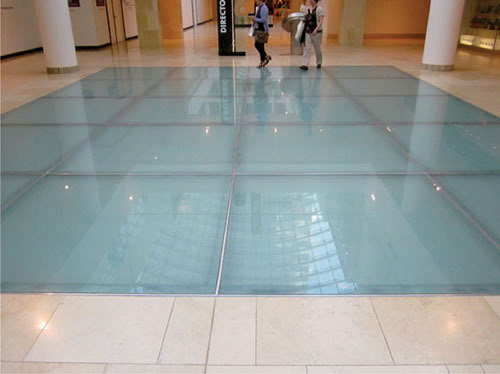 Safety is a critical aspect when glass is used in floor applications and we provide a technical service to help with calculations for the glass thickness and construction for each individual project. 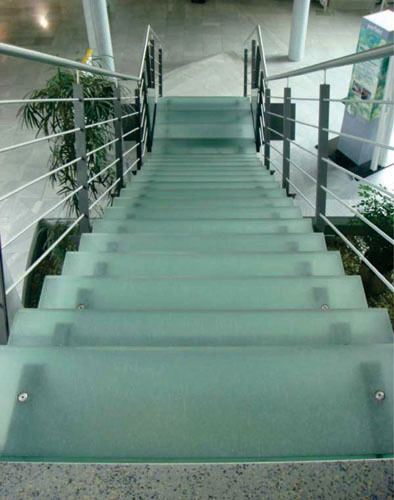 A laminated glass is always recommended to ensure that the failure of one of the panes does not lead to a complete failure of the glass floor system. 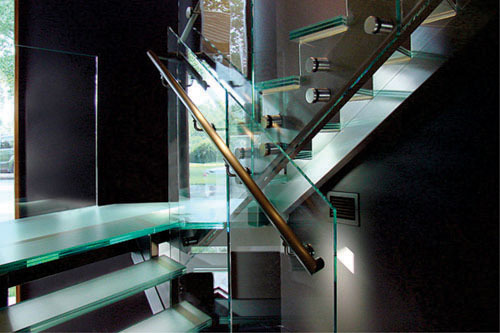 The glass usually tends to be around 40mm in thickness even in toughened laminated and the support system is normally a stainless steel framing.